We understand that you depend on power. No matter what type of business you run, we all rely on power the same and it is important to have the necessary backup and protection when things go wrong. That is why we make power protection and battery backup solutions, including uninterruptible power supplies, power regulators, and more. 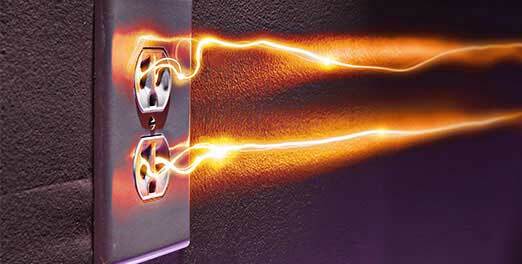 You never have to worry about what could happen to your electrical equipment. As a trusted and reliable manufacturer of power products, we make it our goal to bring you quality devices that you can count on. Our complete line of power solutions give you the reassurance of knowing that no matter what issues come your way, your equipment will be safe. Working with a variety of different industries, we believe in developing products you love and trust. 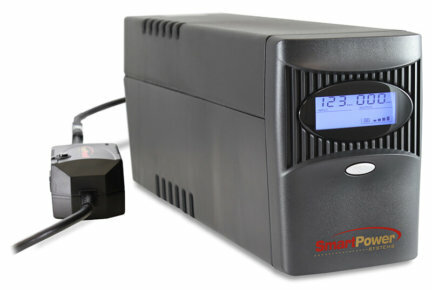 Whether you need security, POS systems, or IT protection, Smart Power Systems has your power and battery backup protection covered. Would you know if you were having a power problem? Find out the symptoms of potential problems and learn how they may be affecting your equipment. From POS systems to copiers and fax machines, we understand how important your mission-critical equipment is for your business operations. 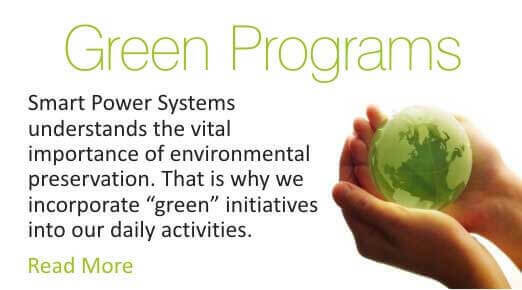 We want to protect and preserve our environment in an effective way by integrating “green” measures into our manufacturing processes and developing plans. 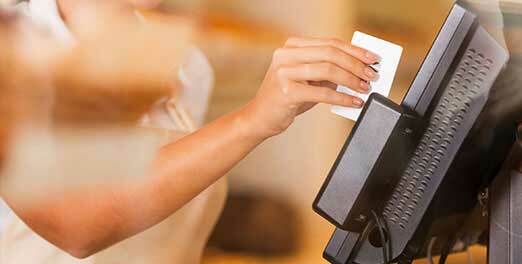 What is a profit-measured service manager to do?